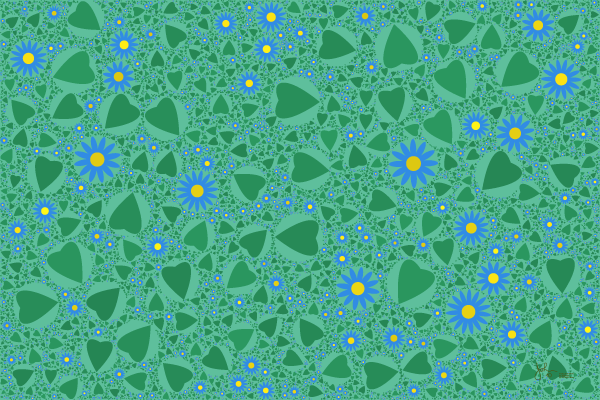 Here the circles have been filled with two different patterns, leaves and flowers, at random. The colors vary from one place to another. The impression is that of an infinite flower graden cascading to infinity. The original has about 16000 circles, all fully resolved. This image has been compressed for internet use and the resolution is much less.